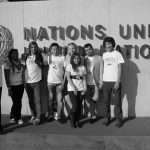 In September 2012, the Campaign held a special event in collaboration with the UN Committee on the Rights of the Child and the Diana, Princess of Wales Memorial Fund to highlight the experience of administratively detained children around the world. 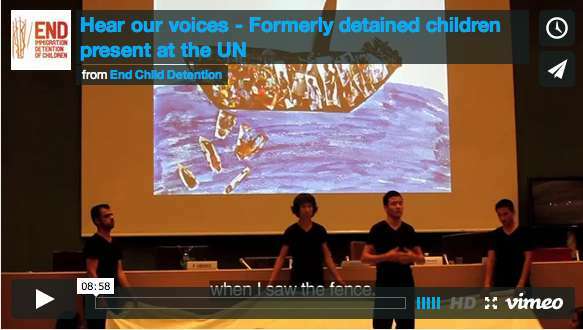 Entitled ‘Hear Our Voices,’ the event took place during the Committee’s Day of General Discussion (DGD) in Geneva and was the culmination of a week-long workshop in which 6 formerly detained children shared stories of their detention with over 25 State parties to the Convention on the Rights of the Child, five key UN agencies, and 120 participants. The event also marked the launch of IDC’s ‘Captured Childhood’ report and new Child-Sensitive Community Assessment & Placement model. Except from ‘Hear Our Voices’ in which Amin describes his experience of detention. 78. Children should not be criminalized or subject to punitive measures because of their or their parents’ migration status. The detention of a child because of their or their parent’s migration status constitutes a child rights violation and always contravenes the principle of the best interests of the child. In this light, States should expeditiously and completely cease the detention of children on the basis of their immigration status.